Miami University Regionals Artist Series returns this year with an outstanding lineup of performances that include Celtic, South African, bluegrass and American roots music, blues and jazz at the Hamilton and Middletown campuses. The 2012-2013 season kicks off with Hugh Laurie with the Copper Bottom Band’s homage to the blues on Saturday, Aug. 25 at 7:30 p.m. in Dave Finkelman Auditorium in Middletown. After playing TV’s Dr. House for eight seasons, Laurie released his first album, Let Them Talk. It is currently #4 on Billboard's Blues charts and has been in the top ten for 37 weeks. 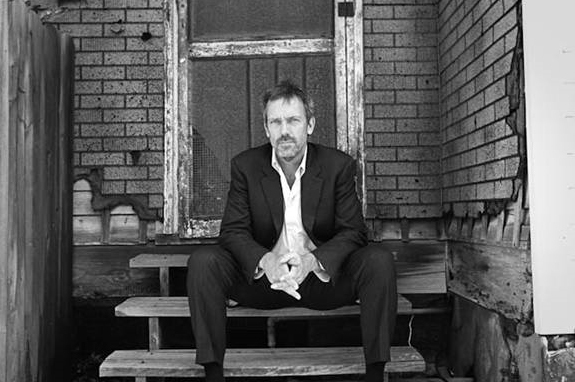 To learn more about Hugh Laurie’s music, visit www.hughlaurieblues.com. Other performers scheduled for the 2012-2013 Artist Series at Miami Hamilton’s Parrish Auditorium include Riders in the Sky on Nov. 3, Carolina Chocolate Drops on Nov. 19, Rhonda Vincent on March 9 and Wilcox/Werner on April 13. Artist Series performances at Miami Middletown’s Dave Finkelman Auditorium include Hugh Laurie on August 25, Dailey and Vincent on Sept. 22, Arlo Guthrie on Oct. 20, Mary Black on Nov. 14, Ladysmith Black Mambazo on Feb. 13 and Chick Corea on April 21. Tickets are available online at www.tickets.muohio.edu or by calling (513) 529-3200. A service charge applies to online orders. Tickets may be purchased in person from the cashier’s office in Johnston Hall at Miami Middletown or by mailing payment and the attached mail order form to Miami Regional's Artist Series, 1601 University Blvd., Hamilton, OH 45011. If you purchase season tickets, you'll save 10% by season on either series. Miami University Hamilton is located at 1601 University Blvd. Miami Middletown is located at 4200 N. University Blvd.